This story starts out with a glimpse into the past, showing the interactions between two immoral sisters; then brings us into the present time, where we meet our main character. Brook Davenport, now in the witness protection program, is heading toward a new life in Claremont, Scotland. Along the way, she encounters a very strange, dark, brooding man. Hoping to shake off the tortured memories surrounding her abusive marriage to the criminal, Adam Fleming, she wonders if her travels will take her far enough away from the past to truly escape. But her ex may not be the biggest demon who has her on his radar. Brook starts two new jobs, and makes some friends while working at a home for the elderly. Edith is one feisty older resident, who keeps her on her toes! Her second job is at the Avallon House, where she meets the handsome, reclusive man named Anwar Jones. She has seen him in town, and is well aware of how his abrupt interactions make any attempt at conversing a challenge. Still, she feels drawn to him. Brook has much to learn about her new life, her new relationships, and also about her own past. This is a stunning start to a series that gives a detailed, fully fleshed out main character in Brook, as well as those around her. With real life crime, drama, and hints at otherworldly influences, this story draws you in, and keeps you spellbound until the end. I highly recommend this book, but you may want to have the sequel on hand, as you will not be ready to let go of these characters! Napoleon, a young werewolf, and a member of the Nowhere pack, is eager to move to New York to attend college, and to start fresh. His summer was challenging, to say the least. A hot, straight, Swedish exchange student, Sixten Dahl, spent the summer flirting with him, just for kicks. And while Napoleon knew he never had a chance with Sixten, the attraction he felt was undeniable. So, leaving for college couldn't come fast enough. Now in a new city, other challenges arise. The Upstate New York pack is less than open to members who have aligned with vampires. Further, Napoleon is advised not to flaunt his sexual preference, prompting him to do the opposite, and raising a few eyebrows from the council members. But his self-esteem never wavers. What he isn't prepared for is to see Sixten again... and in the most unlikely of places. Napoleon is full of angst, and doesn't cower in the face of adversity. He has never had to hide his identity, and he isn't about to start now. He is young, but he knows what he wants, and if something doesn't feel right, he isn't afraid to stand up for what he believes in. With a solid, supportive pack, he is at his best, showing humor, and relying on his true friends to help him overcome obstacles. Each pack member plays a role in this story, but Napoleon really shines. There were some surprises, too! And although I would have liked to see a bit more of the supernatural world, I really enjoyed this story! It's well written, with engaging characters, and a meaningful plot. It can be read as a standalone, but I recommend starting with the first book to get the full history of the characters. 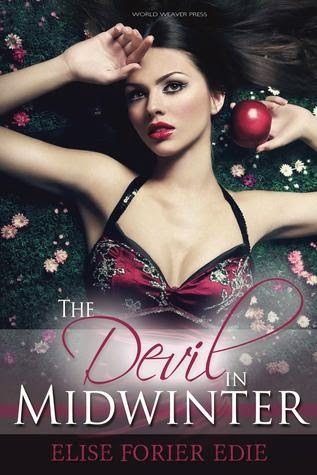 The Devil in Midwinter blends Mexican folklore with romance and mystery to create an enchanting, dreamlike tale, with elements of magical realism. The story comes to life, as the characters embark on a spellbinding journey with a dark twist. Esmerelda "Esme" Ulloa is a 20-year-old college student who lives with her brothers and uncle on an apple orchard in Washington. Driving along the desolate road, she meets a stranger who is injured, hysterical, and ranting about a devil in the orchards. A series of disturbing events unfold, but Esme is distracted by recurring dreams that are haunting, surreal, and beginning to obscure her sense of reality. A handsome vintner has arrived in town, and Esme's uncle is behaving peculiarly. Following a frightening outburst by her uncle, Esme and her brothers leave the home, only to find themselves in the middle of the dark, shadowy orchard. But what they find that night is even more shocking. Esme's world is turned upside down as she discovers her fate rests in a battle of wills against an ancient demon. But will she find the strength in time to save her one true love? I really enjoyed this story! 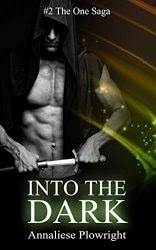 It's well written, with magical elements and characters that complement the themes. 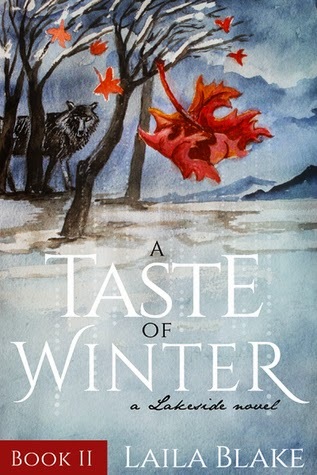 The characters could have been built up a bit more, but for a novella the author does a great job in imagining a story that is compelling and absorbing, with an enticing fusion of mysticism and reality.